in Elk Grove Village, IL. 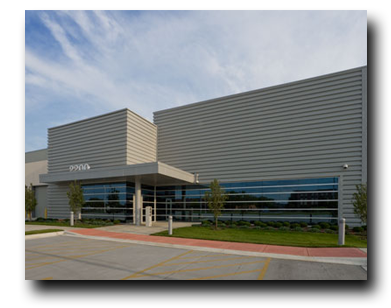 Located in the western suburbs of Chicago, CH1 is one of the America's most sophisticated and efficient data centers. The highly advanced and secure facilities power, cool, and protect the computer servers of numerous enterprise and technology companies. In conjunction with our operational expertise, we deliver uninterrupted service and ultimate reliability to our customers’ mission critical business applications. All servers are Xeon Quad Core L5630 or better. Innerplanet uses a custom BlueArc 3200 series SAN to provide storage to our entire HA cluster. It uses a super redundant, extreme high performance (200,000 IOPS) fibre channel array. Data loss or downtime due to hardware failure or network problems is a thing of the past with this setup. Your data is spread out across several disk arrays for the utmost in reliability and redundancy. The data center's Global IP Network provides your company with the reliability and performance needed to keep your infrastructure connected. 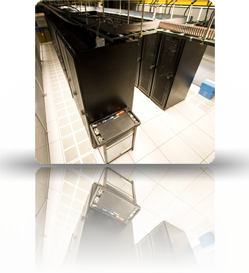 ServerCentral operates redundant network nodes in all Infrastructure Colocation facilities. both carriers and the ServerCentral backbone, every facility can provide the rock solid reliability and redundancy our customers require. Using the best technologies from Juniper Networks and Cisco Systems, our network is designed without compromise for optimal performance and availability. The network monitoring center, in addition to checking the health of your server around the clock, is staffed with experts trained to respond in the event of trouble. The monitoring center uses automated queries designed to monitor the health of critical elements of the servers, as well as the watchful eyes of our monitoring team and the NOC engineers to detect issues. Should the server that your website is housed on respond poorly to the continuous monitoring, engineers are immediately on-hand to troubleshoot both hardware and software, and are able to fix problems or replace components as necessary on site.